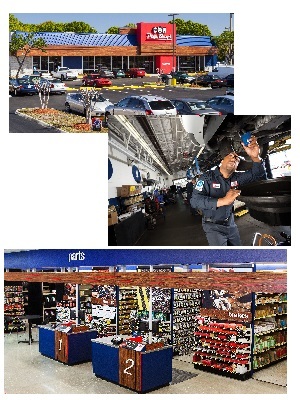 The Parts Person provides superior customer service and assists in driving store sales across the commercial, retail, and hard parts business. Also, provides essential task support by partnering with management to make certain that merchandising levels are optimal, inventory control programs are strictly adhered to, pricing modifications are processed timely, and the parts room is maintained to company standards. Directs responsibility for the parts area and plays an integral role in the general store operations. This position has been designated as a safety-sensitive position. Manage the effective operation of the parts area in order to exceed expected sales goals of hard parts to retail, commercial and service customers. Strictly adhere to inventory control programs, in-stock standards, reduction in "outside" parts purchases through secondary vendors, and mark-up maintenance of "special order" merchandise. Handle the recording and maintaining of DIY warranty registration for parts and monitors "lost sales" resulting from out of stock situations and sales activity of "special order" parts not included in merchandise assortment. Under the direction of the Store Manager of Parts, participates in "truck-day" operations, cycle counts, audits, and organization of the back room.